HARLYM YEO: What's Up Today? 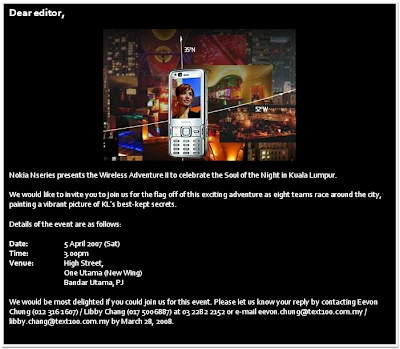 One of my agenda is to attend the above event (Nokia NSeries - the Wireless Adventure II) at 3:00pm today at High Street, One Utama (New Wing), Bandar Utama, PJ. Meanwhile, looking forward to go to Kuala Lumpur International Book Fair (KLIBF).